Get your hands on one of the best-keps secrets in shooting. CZ's fine, full-size polymer pistol offers a blend of accuracy, reliability, and build quality that rivals some of the pricier European "exotics" - but for a fraction of the price! 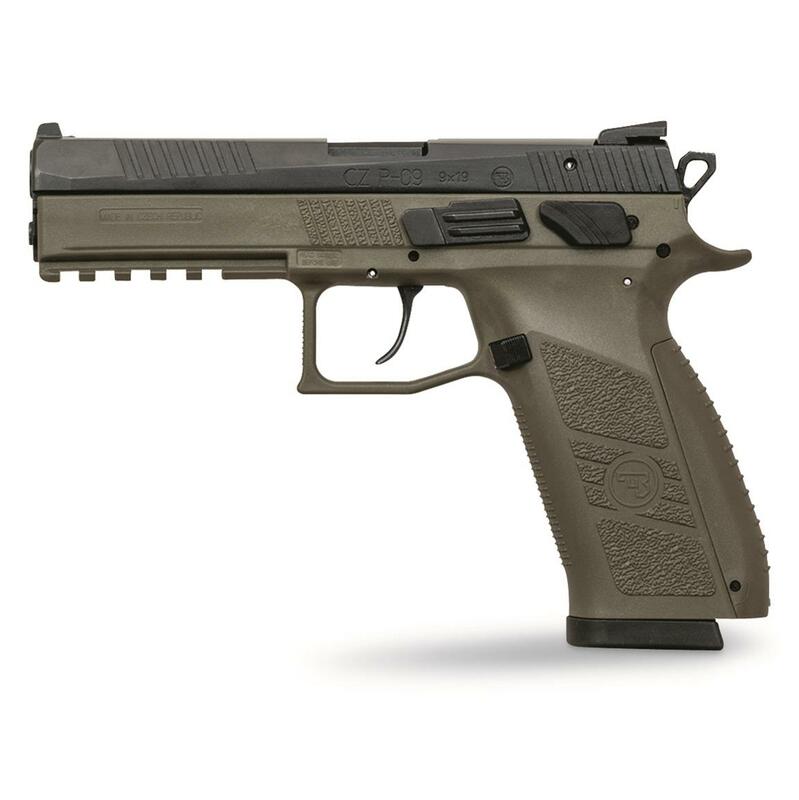 The P-09 is CZ's full-size polymer offering, boasting an impressive 19-rd. capacity in its flush-fitting magazine. The P-09 features the outstanding Omega trigger…offering simple no-tools assembly…disassembly, less creep, cleaner pull, and longer life. It sports a firm grip with instant and intuitive targeting. The low-lying barrel axis combines with the slide backstop, allowing you to control the P-09 even during rapid firing—making it an outstanding carry weapon. CZ-USA P-09, Semi-Automatic, 9mm, 4.54 Barrel, Olive Drab Frame, Tritium Sights, 19+1 Rounds is rated 5.0 out of 5 by 1. Rated 5 out of 5 by Jerry from Best trigger ever I own many pistols and also am involved in steel shooting competition. Let me tell you this is a keeper it has one of the smoothest triggers I've ever seen. The weight and balance of the heavier slide on the polymer lower makes follow up shots quick it just falls into place. Will definitely be getting the little brother the P-07.